Smell-x provides a patented solution to noxious odours from waste water systems and pump wells. Activated carbon is used as the filter medium and is commonly used in air filtration. It is mechanically inserted between two breathable layers of geotextile, these layers also serving as a pre-filter and protective membrane for the activated carbon. The resulting module possesses a large surface area and high durability whilst excellent air-permeability is achieved through the innovative construction. 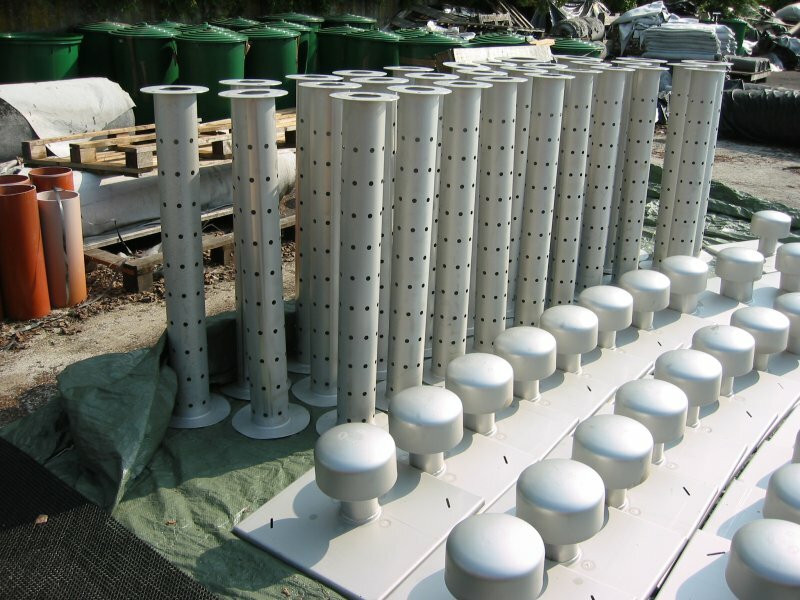 The design also prevents the filter material from crumbling or caving in on itself, which significantly reduces any possibility of lateral air seepage or reduction in airflow. Due to the top-quality materials and the possibility of renewing the unit by exchanging the filter insert simply and cheaply, Smell-x is the guaranteed long-term solution to your odour problems. The round unit DN 600 mm is attached using either short (xs, ys) or long (xl, yl) brackets, which are attached to a seal plate. The separate filter insert is then hung off this seal plate. Due to its modular construction, this system can also be used with large dimensions or square shafts. Functions at all temperature and air humidities! 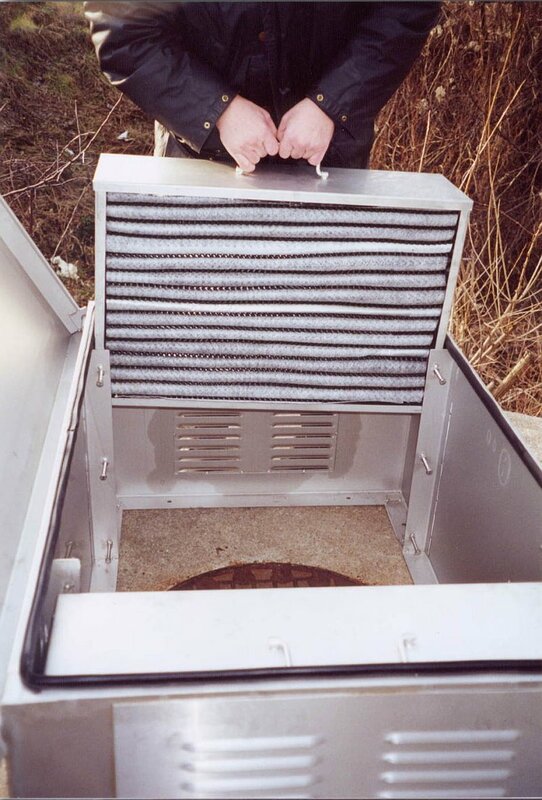 No possibility of the filter medium fragmenting so no risk of lateral air seepage! Quick and simple mounting without tools! 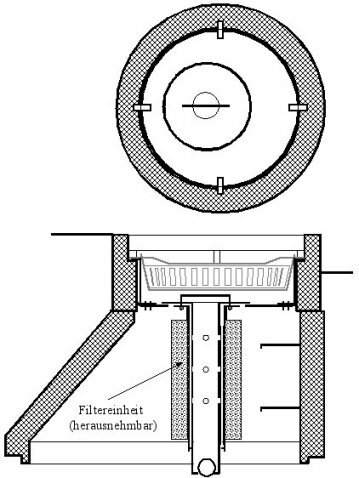 Water discharge separated from air filter! Easy exchange of filter insert! Delivery and installation of odour filters for shafts DN 600-610mm, comprising a base plate in material 1.4301, including a discharge pipe plus ball check valve with rubber gasket; and suspension device. Easy-to-swap filter unit with activated carbon filter that has been stitched between geotextile layers to provide structural solidity and prevent crumbling, with a separating mesh to offer maximum effective surface area. 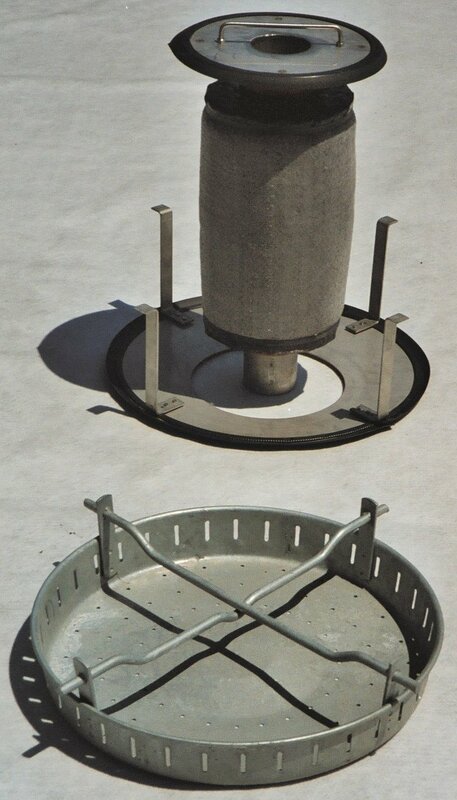 The removable filter housing (Material 1.4301) is designed to be exchangeable. …….. pcs. 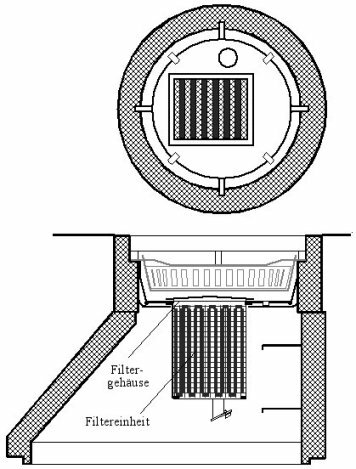 odour filter, make: Öko-Tex or equivalent.